Home Companies CSS Green(Beijing) Lighting Technology Co., Ltd.
CSS Green(Beijing) Lighting Technology Co., Ltd. Description:-Anti glare LED side light panel, LCD TFT backlight technology, 3D V-Cut lighting guide panel, Anodised aluminium-frame, satin opal diffuser. RGB colour changing. Data:-High efficiency SMD LED, satin opal diffuser, 1000lm output, approx 350 lux @ 1mtr, colour rendering index greater-than 82, weight @ 1.5kgs, average life greater than 50,000 hrs, 18W power consumption, supplied with SMPS 12V DC-power supply and colour changing controller. 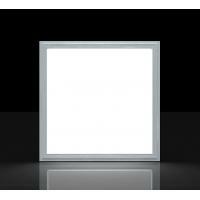 Specification:-Panel light can be recessed into standard grid ceiling or via optional plaster trim kit for plaster board ceilings or via-optional wire suspended or surface mounted kit. We offer following packing for you choice, Please let me know which packing is your choice. 4.We weclome you to visit our lighting showroom and factory. 1.Payment: T/T in advance (Western Union acceptable) and 30%deposit, 70%against copy of B/L. 2.Production lead time-for 1000~2000m/color: 5days, 2000~5000pcs:7days. Genaly goods 35 days after receiving deposit. 3.Sample can be delivered in one weeks. 1.Your inquiry related to our products or prices will be replied in 24hrs. 3.OEM&ODM, any your customized lightings we can help you to design and put into product.